I might be wrong, but somehow, I have a feeling that most of the retail investors are not early adopter of the technology (or digitization for that matter). Maybe, just maybe, most retail investors would rather invest their money in stocks than technology. In any case, fret not, we now have free ticket (in the form of SkillsFuture) to up our ante in the digitization space. Recently, SkillsFuture has launched the SkillsFuture For Digital Workplace with the aim to build confidence in all Singaporeans for the Digital Economy. It has partnered with tech giants IBM, Lazada, Microsoft and Samsung to come out with a 2-days program to equip Singaporean with basic digital skills that suit them, from the use of e-payments and e-commerce platform to data analytics and automation. 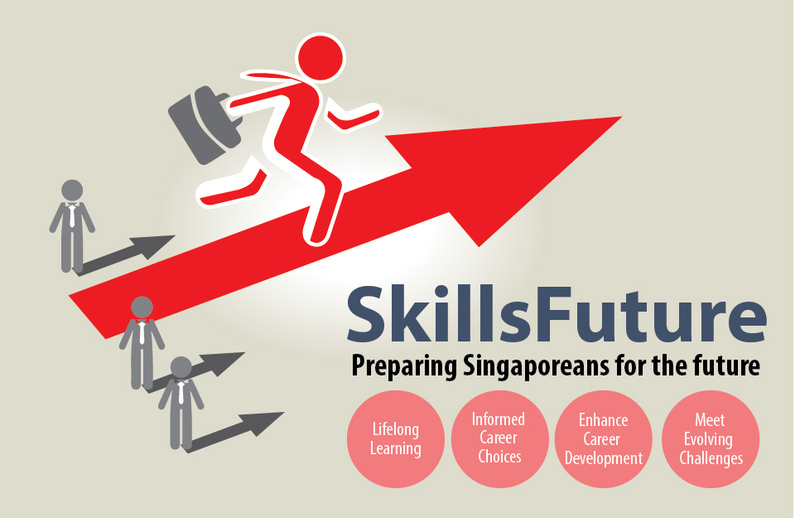 The program cost $50 each (which can be paid using the S$500 SkillsFuture credits given to all Singaporean age 25 and above). Also, Singaporean who are more tech savvy can opt for customized programs to be delivered by 7 training providers (Capelle Academy, Nanyang Polytechnic, NTUC LearningHub, Rohei Corporation, Singapore Management University, Singapore University Of Social Science and Training Vision Institute). The courses ranging from 3D printing to digital ordering and kitchen automation in the food and beverage industry. For more details of the courses, check out the announce by SkillsFuture here.